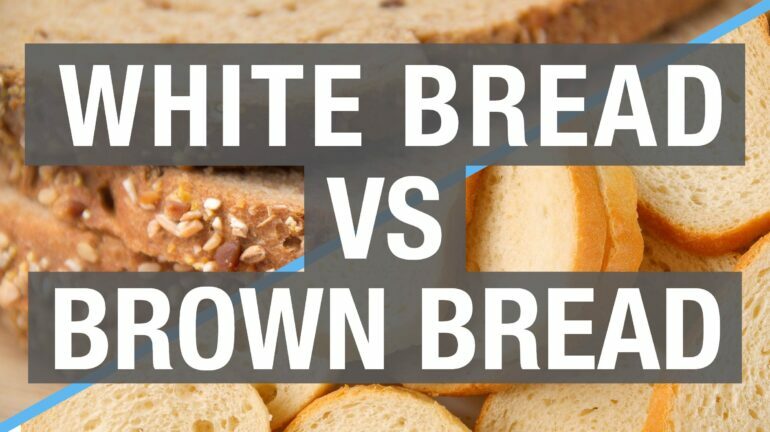 White Bread Vs. Brown Bread – Is Brown Bread Really Healthy and Safe? People usually wonder whether wheat bread is healthier that white bread. It is commonly known that brown bread has more beneficial elements that white bread in terms of nutrition. However, it might be said that there is a catch; it is only true if it is 100% whole wheat. Being aware of this fact and knowing specifically what to look for might help you prevent from being fooled by deceiving product marketing. Both kinds of beard are usually made from wheat flour. Each grain of flour made from wheat present three selections, these selections are the endosperm, germ, and bran. The endosperm consists in the large grain’s large center that contains protein and starch. At one of the ends of the endosperm we can find the germ which is the area sprouts when germinated. In contains some oil, many vitamins, and minerals. Bran covers both the endosperm and the germ. Bran contains fiber and many nutrients. The whole wheat beard is not highly produced as the flour in white bread. During its processing they remove the germ and the bran of the wheat grain. Hence only the white starchy endosperm is left. Despite the fact that the endosperm is the largest part, it has a least amount of nutrients. However the whole wheat flour’s germ and bran is untouched containing more nutrients– and fiber, than the previously mentioned white flour. Protein and vitamin E is provided by the fiber and germ which at the same time is provided by the bran in the whole wheat flour. Vitamins B, manganese, magnesium, iron, potassium, phosphorus, and zinc are also provided. Plant lignants is a phytonutrient that is also provided by the whole wheat grain. These lignants have been proven to have beneficial elements against breasts cancer and heart diseases. Furthermore, white flour is often enriched with vitamins and minerals that where withdrawn in the first step of its processing in a synthetically applied procedure. FDA requires adding back thiamin, folate, niacin, and iron in order to avoid deficiencies in nutrients. These elements al also lost at the beginning of the process. These are the differences considering the nutrients’ daily recommendation. When choosing bread you should make sure to read the ingredients and values since many products have a combination of both kinds of bread and decide which ones process the amount of nutrients, vitamins, and fiber that your current diet need.